This past March, 17 attorneys general launched a coordinated effort to investigate, pursue and prosecute companies, think tanks and other organizations that say there is little credible evidence that human “greenhouse gas” emissions are causing “dangerous” or “catastrophic” manmade climate change. The AGs said their targets’ actions constitute “fraud” – which they described as using “polished public relations campaigns” to “muddle the truth,” “discredit prevailing climate science,” and “mislead” people about threats from higher temperatures, rising seas, floods and more severe weather. Their real goal is to intimidate and silence targeted groups, and bankrupt them with legal fees, court costs and lost funding. The Competitive Enterprise Institute, Heartland Institute, ExxonMobil and other “climate denier” organizations fought back vigorously, refusing to surrender their constitutional rights to participate in this vital public policy debate. The AGs’ bravado and prosecutions began fraying at the edges. But one wonders: How will these intrepid protectors of the public interest respond to Real Climate Fraud? To intentional misrepresentations of material facts, with knowledge of their falsity, and for the purpose of inducing persons or institutions to act, with resulting injury or damage. Will those AGs – or other state AGs, Congress, state legislatures or the Justice Department – investigate the growing list of highly questionable actions by scientists and others who receive billions in taxpayer and consumer funds for renewable energy programs and research into manmade climate cataclysm scares … to justify policies, laws and regulations that raise energy costs, destroy fossil fuel companies and jobs, force layoffs in other industries, and harm poor, minority and working class families? Or will they respond the way FBI Director Comey did to Hillary Clinton’s reckless disregard for national security secrets: ignore the bad conduct, and reward transgressors with more money, prestige and power? The case for widespread misconduct by members of the $1.5-trillion-per-year Climate Change & Renewable Energy Complex grows more compelling, and disturbing, by the day. A complete listing and analysis would require books, but these few examples underscore the seriousness of the global problem. Crisis fabrication. After warming 1910-1940, cooling 1940-1975, warming 1975-1998, not budging 1998-2015, Earth warmed slightly 2015-2016 amid a strong El Niño. No category 3-5 hurricane has hit the United States for a record 10-1/2 years. Seas are rising at 7 inches per century. Arctic ice is near normal; Antarctic ice is at a record high. 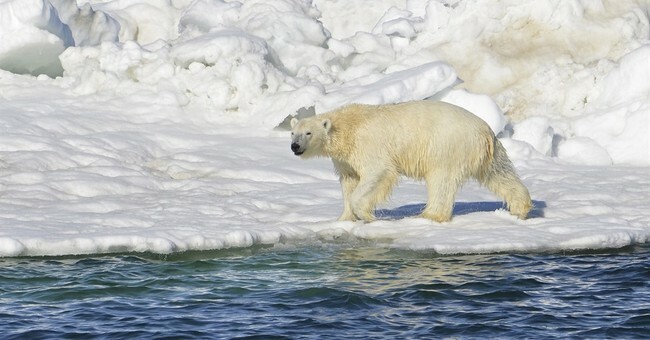 There are more polar bears than ever. But the White House, EPA, UN and media falsely claim we face an unprecedented crisis – and must quickly replace reliable, affordable hydrocarbons with expensive, subsidized, unreliable renewable energy, and let unelected, unaccountable bureaucrats control our lives, livelihoods and living standards. Data manipulation. When actual measurements don’t support climate chaos claims, dishonest scientists “homogenize” and manipulate them to create imaginary warming trends. Phil Jones, his British team and their US counterparts eliminated centuries of Little Ice Age cooling and created new records showing planetary temperatures suddenly spiking in recent decades. They used ClimateGate emails to devise devious schemes preventing outside analysts from examining their data, computer algorithms and methodologies – and then “lost” information that peer reviewers wanted to examine. NOAA’s clever climate consortium adjusted accurate sea-surface temperature data from scientific ocean buoys upward by a quarter-degree, to “homogenize” them with records from engine intake systems contaminated by shipboard heat – thereby creating a previously undetected warming trend. Australia’s Bureau of Meteorology revised Rutherglen weather station data to convert 100 years of data showing a slight cooling trend into a warming of several degrees per century. As with other “adjustments” (by NASA, for instance) the revisions always create warming trends – never a slight cooling – and climate crisis scientists always say humans caused the warming, even though they are unable to separate natural forces, cycles and fluctuations from alleged human influences. GIGO computer models. Climate models assume post-1975 warming is due to manmade carbon dioxide; exaggerate climate sensitivity to CO2 levels; and simplify or ignore vital natural forces like solar energy variations, cosmic ray fluxes, heat-reflecting clouds, and recurrent phenomena like El Niño and La Niña. They conjure up “scenarios” that alarmists treat as valid predictions of what will happen if we don’t slash fossil fuel use. Models replace actual evidence, and play an important role in climate battles. It’s complete GIGO: faulty assumptions, data, algorithms, analytical methodologies and other garbage in – predictive garbage out. That’s why “hockey stick” and other models are so out of touch with reality. In fact, an official IPCC graph showed that every UN climate model between 1990 and 2012 predicted that average global temperatures would be as much as 0.9 degrees C (1.6 F) higher than they actually were! The inconvenient graph was revised for the Intergovernmental Panel on Climate Change’s 2014 report. Report manipulation. Activists and bureaucrats always finalize the Summary for Policymakers, the only IPCC climate document that most voters, elected officials and journalists ever read. They want to ensure that already politicized climate “science” does not undermine or contradict political themes and agendas. A 1995 State Department document reveals the extent of this interference and manipulation. The 30-page document gave detailed instructions as to how the Clinton White House wanted the summary’s scientific explanations and conclusions revised, to make alleged climate and weather trends even more worrisome. Donna Laframboise and others document the bias, distortion and deception that dominate IPCC actions. Consensus fabrication. Claims of a 97% consensus on climate cataclysm science are likewise slippery, and based on bait-and-switch tactics that look only at study abstracts of studies and then misrepresent what the abstracts say, ask one question but base their conclusions on a different one, or use other strategies and misrepresentations to hide the disagreements and debates that still dominate this topic. Cost-benefit falsification. The US Government has mastered this fraudulent tactic, especially in its “social cost of carbon” calculations. EPA and other agencies blame methane and carbon dioxide emissions for every conceivable impact on agriculture, forests, water resources, “forced migration” of people and wildlife, human health and disease, rising sea levels, flooded coastal cities, too much or too little rain. They totally ignore the way more CO2 makes plants grow faster and better, with less water. They also ignore the enormous benefits of fossil fuels for 80% of all the energy we use to transport people and products, generate reliable, affordable electricity, and manufacture fertilizers, plastics and thousands of other products. And they ignore the ways anti-energy regulations raise hospital, factory and small business costs, kill jobs, and reduce living standards, health and welfare for millions of people. Why would they do these things? The US federal government alone spent $11.6 billion on “green” energy and climate “research” and “mitigation” programs in 2014. That money did not go to scientists who question “dangerous manmade climate change” doctrines. Recipients and their parent institutions are determined to preserve this funding, protect their reputations and prestige, and maintain their influence and control over policies, laws, regulations, and wind, solar and biofuel mandates and subsidies. It is all inextricably tied to silencing inconvenient questions and, if needs be, engaging in systematic and systemic exaggeration, falsification and misrepresentation. So, AGs, by all means let’s investigate. But let’s not criminalize differences of opinion. Let’s root out actual fraud, let real science prevail, and protect our livelihoods and living standards from unscrupulous people and organizations that are using fraudulent climate chaos claims to control energy use, transform the US and global economic systems, and redistribute the world’s wealth.